As an international volunteer group with Projects Abroad in Eastern Europe, you will have the opportunity to rediscover a part of Europe once closed off to visitors from “the West.” You will notice some strong Western European influences, especially in Romania – a former Roman colony. Regardless of which project or destination your group chooses to help in, you will all have an important role to play and your efforts will be greatly appreciated. Choose from opportunities like working in a hospital, working at a newspaper or in a school, or even do real archaeological research! 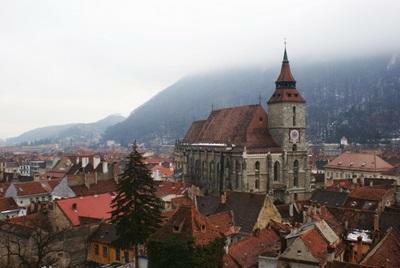 Groups volunteering in Romania will stay in the capital of Transylvania; the historic city of Brasov. We offer a wide range of projects including: Drama, Archaeology, Veterinary Medicine, Animal Care, Journalism, Physiotherapy, Medicine, Care and Teaching. Not all of these are currently listed but feel free to get in contact with us for the full range and details. 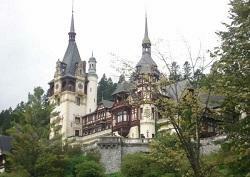 There’s also plenty to see, from vibrant Black Sea beach resorts, Medieval towns and relaxing spas to painted monasteries, Transylvanian castles and green mountains. More info on volunteering in Romania. Aside from working, your group will have plenty of free time in the evenings and at the weekends giving you all the opportunity to explore, travel and tour other regions. Whether you want to see the town of Dracula’s castle, visit the beautiful Black Sea or simply explore all of the culture, food and drink that the city has to offer, you will experience something new and yet oddly familiar at the same time. As a group you will be staying in a local hostel or hotel where you will inevitably meet the staff or the friendly locals. You will find them incredibly welcoming and they will doubtless be eager to find out all about you and your life back home. Take plenty of photos with you and be prepared for lots of questions!